To thrive in this business all you need do is to be an outstanding tailor because when you are people will always locate you no matter where you are located. To be on top and have loyal customer you really have to be good at what you do, no body wants to take their clothes to a tailor who do not know to to sew. 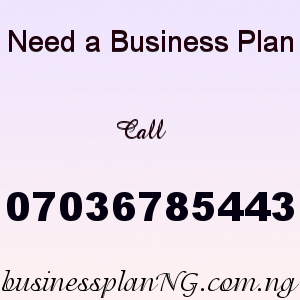 The importance of a tailoring business plan in Nigeria can not be over emphasized. A good business plan will guide you, a business plan is like a roadmap, it include things you will be doing to put your business on top of your competitors in the next 6 months to one year and over, with a business plan you can get start-up costs, the types of machines you need, the computer equipment and software, marketing plan to attract customer to your business and lots more so the importance of a business plan can not be overemphasized its the key to a successful business. If you are already a profession tailor, good. It means you are ready to do this business but if you are not please get the necessary training, even if you have been sewing for a long time you will need to learn the techniques experts in the business knows, so its very important that if you are not yet a professional tailor you must join an already establish tailoring institute so you can learn. To start this business you must decide the amount of money you want to start with, so there are lots of things you must consider like rent expenses, employee salaries or commission, equipment and lots more. Another important this is your LOCATION, the location of your business determines how successful the business will be. The best location for tailoring shop is where you can be easily accessed. Our sample Tailoring Feasibility Study & Business Plan in Nigeria can be used to access bank loans, proposal writing and grant applications. The business plan was complied after a thorough feasibility study on Tailoring Business in Nigeria was done. After you have made payment for your Tailoring Business Plan in Nigeria and Feasibility Study, send your email and payment details to 07036785443.